In this How-To, we will walk you through the LEMP install on your CentOS 6.7 Server. LEMP is a software bundle that is made up of four parts (Linux, Nginx, MySQL, and PHP). This how-to will be using CentOS 6.7 which was released on August 7th, 2015, Nginx version 1.0.15, MySQL version 5.1.73 and php-fpm using PHP version 5.3.3. A server with CentOS 6.7 already installed. If you do not have a CentOS 6.7 server, you can get a reliable cloud SSD server from Atlantic.Net and be up and running in under 30 seconds! You will now have NGINX installed on your server. This can be verified by typing in the following with your IP ADDRESS on your browser. Also, all configuration files are provided on the page. We can now verify Apache is working by opening your browser and entering the URL http://your-server's-address. you should get a blue Nginx test page similar to the image below. An example of running the command: ip addr show eth0 and getting 192.168.100.10 for the IP address. In our example we would put http://192.168.100.10 into our browser’s address bar. 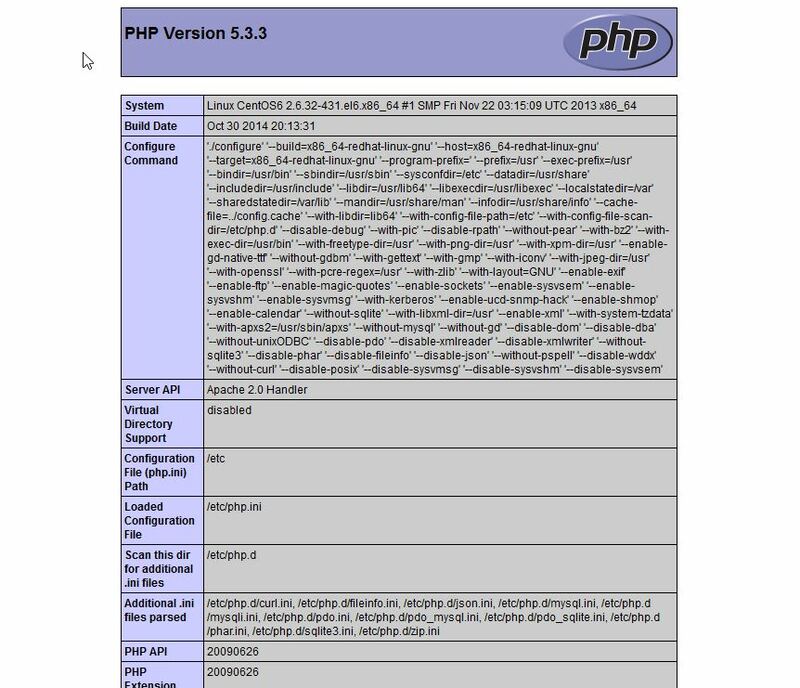 Using your favorite editor, edit the file /etc/php-fpm.d/www.con and change user and group from apache to nginx. It should look similar to the block below. Now we need to make some changes to the Nginx configuration file so that php-fpm works correctly with Nginx. Using your favorite editor, edit the file /etc/nginx/conf.d/default.conf and carry out the following changes or copy the following block below into your conf file. 3) Uncomment the Pass PHP scripts to FastCGI section. Congratulations! You have just installed LEMP on your CentOS 6.7 Server. Thank you for following along in this How-To! Check back with us for any new updates and browse our scalable Cloud Hosting solutions for any sized business.